No matter, Christmas starts in a month or in a week or just in a day everyone wants to look good and glamorous at the party. Parties are a way to meet new people and hanging out with old friends and looking good and fresh is another way. 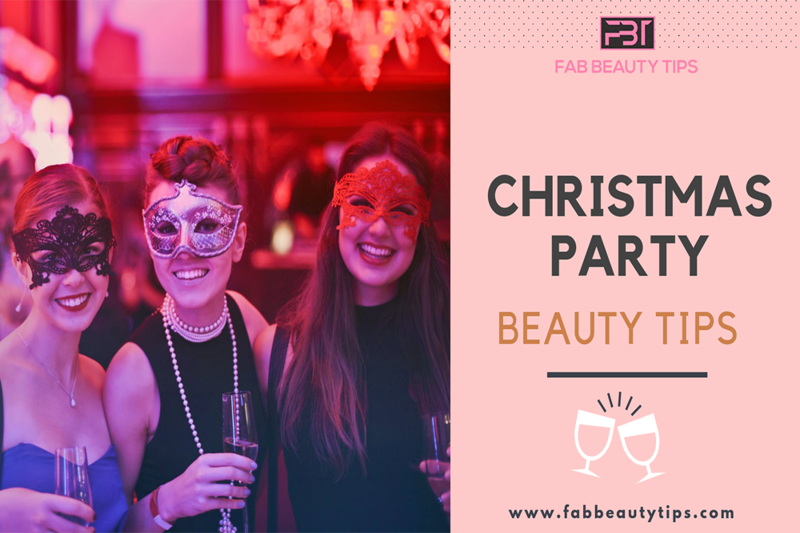 If you also want to know the tips that how to slay in the party with your beauty then read the article and enjoy looking beautiful at this Christmas party. Don’t let your bumpy, and rough ruin your party enjoyment. Using a body scrub every second day will help you to get that smoother skin. It will remove the dead skin cells from the upper layer of the skin and leave a smooth and silky feeling behind it. It also stimulates the blood circulation in the skin and instantly brightens the skin. Don’t go to the market for buying new and unpredictable products for that natural glow. If your skin is not beautiful and glowing from within then no product will work form your outer skin. Healthy skin is way better than the artificial skin which we create by using market products. Drink water which is at room temperature daily on an empty stomach. This will flush out all the toxins from the body which gives healthy and glowing skin from within. Exfoliating the skin is essential for everyone. Gently exfoliate your skin but don’t overdo it. Exfoliate your face once or twice a week. Pay attention to your nose and chin as they are more prone to blockage, so exfoliate in a circular motion with a gentle press on these areas. To treat the dull skin it is recommended to use a liquid or cream based exfoliator. Your feet are the most important part of your body. According to the psychology people first see your foot and then they judge you. So, also treat your footwell as you take care of the face and the other body. Scrub your feet and soak them in warm water mix with rose petals and lemon juice. This will make sure there are no dead cells on the foot and they are free from any infections. If you are a little lazy to do all the steps but wants to look glam then go for an ice facial. Add a couple of drops of lavender oil to one cup of hot water. Take another bowl and add a few drops of lemon essential oil to iced water. Soak a soft cloth in hot water and remove the excess water from it. Place it on your face for 3 seconds and then take another clean cloth soak it in cold water and repeat the same process. The rotation of these water improves the blood circulation which will boost the radiance. Don’t forget to book the salon for your waxing session. Waxing can cause temporary redness and sensitivity. Book the salon 4-5 days in advance from the party date so the redness can be reduced and sensitivity. After done with the wax apply some rose water so that the open pores will not get clogged. Also rose water will reduce the redness and pain caused due to the waxing. It’s not a good idea to go to a party with the swollen and tired eyes. No amount of makeup can hide the tiredness of the eyes so take care of them from the starting of the day to the end of a day. When you woke up in the morning wash your eyes with cold water and place freeze spoons on eyes. In night remove all the makeup, wash your face and apply an eye cream before going to sleep. Before doing anything else, take a sight at your lips. Your lips are the most noticeable thing after the eyes. Take care of them as well. Make a homemade lip scrub by mixing sugar, honey, lemon and olive oil. Do this scrub for 2 to 3 minutes and apply a moisturizer after washing your lips. When you want that instant glowing skin then you are just a secret away. Yes! Mask is our secret to getting the glow in just less time while doing other things. There are so many masks available in the market that will provide the glow and also treat your skin well. It nourishes the skin which helps in treating the dull and tired skin. Going to party and not done your nails yet. Here we have a hack for you. Apply glitter nail polish on your nails and apply a clear nail polish on top of it. But living on hacks always will not going to help you in long run. Always change the nail polish after every 10 days and let them take rest for a day or two. Dip them in lemon water for 5 to 10 minutes for treating any infections and fungus problem. When you forget to wash your hair before the party don’t be tensed we have a quick fix for you. Spray some dry shampoo on your hair and leave it for some time. Now your hair is all ready to be styled for the party. Also, make sure that you apply a hair mask every week to maintain the health of your hair. Going to a party? pack your pressed powder or compact with you. It will eliminate any shine, leave your skin look flawless and also helps in touch-ups. It also makes sure that your makeup will last longer. And if you are a girl with oily skin make pressed powder your best friend at the party. The key to a party of Christmas for girls is perfect makeup. For a beautiful, simple and neat makeup apply your eye makeup first as it is easy to wipe the dust of shadows from the face. When it comes to makeup we first think of foundation and it is advisable to invest in a good quality foundation. This will make your base flawless and also give the wanted coverage. Christmas is all about glitters and happiness. When glitters are applied to the lips in the form of lip gloss it will just enhance the overall look of yours. Apply something which is not so bold but definitely go with the party theme and also with your outfit. When your hair starts behaving like your enemy while making hairstyle, then tie them up in a cute updo. Some people also prefer making messy updos for the party as it is easy and also goes with any type of outfit. This looks classy with some outfits. 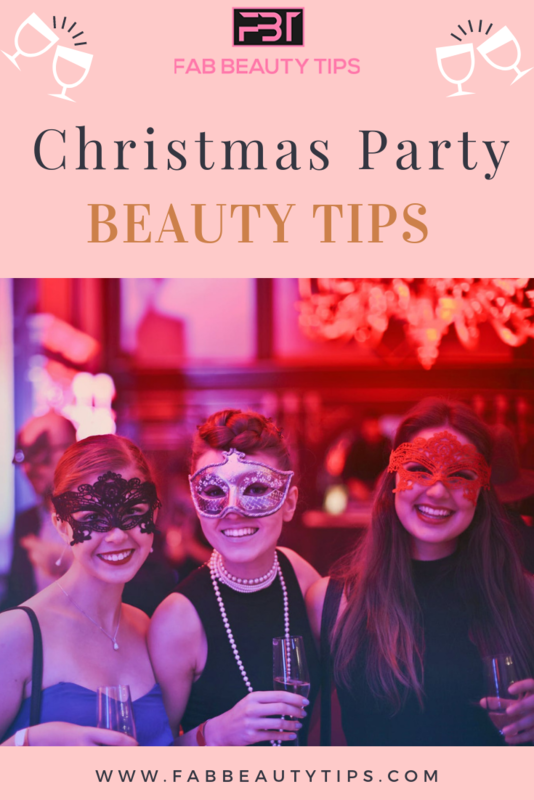 Follow these simple and effective tips next time before getting ready for the Christmas party and amaze everyone with your beauty. Do leave your comment below and let me know how this article helped you and do share it with your friends too. Thank you for writing and sharing these useful tips. I feel all your tips are applicable to any party or celebration all year round. A must for all women to read! Thanks for this post. For the glow Im using one trusted product along with some natural things. Yes drinking more of water is also doing wonders. Exfoliation is quite important. Hey thank you so much for these super helpful tips! Christmas is around the corner and tips like these come in handy. The information is going to be very useful. Regular skin care and hair mask weekly just saved me from trouble. There’s nothing better than doing one small thing every day. Sleeping eight hours is another of my favorite way to look and feel better. From fashion to hair and make-up, we all want to enjoy our Christmas parties in style and grace. All tips are very nice..
Hey I can totally relate to waxing part and treating feet with pedicure. Atleast my feet tend to chap more in winters so this a must and then some shimmer here and there. Thanks for your tips. These sound like hacks that a last minute person like me needs. I would love if you also do a how to request your dresses kind of a post as well.